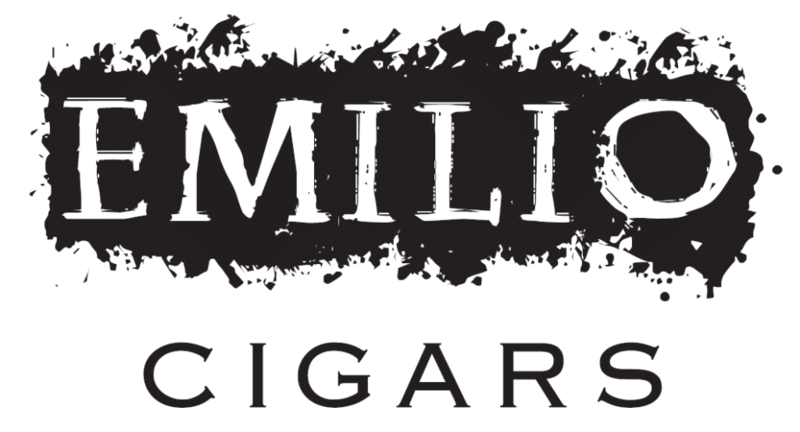 In The Humidor – Page 2 – Your Cigar Review Headquarters… Since 2007! Friday, March 8, 2019 — Miami, FL- Drew Estate announces the launch of its 2019 Barn Smoker Program, with ticket sales for the Florida and Pennsylvania events currently available on www.barnsmoker.com. Tickets for the Kentucky, Connecticut and Louisiana events will go on sale later this year. Drew Estate Barn Smoker highlights the American Tobacco Experience, bringing the cigar enthusiast to the field and farm level by teaching them the full gamut of growing, processing, and manufacture of premium cigars. This year, Drew Estate introduces for the first time a VIP package. Only a limited number of VIP packages will be available, so attendees will need to move quickly to purchase them. VIP attendees will be a guest at an intimate dinner the evening before or after the Barn Smoker, hosted by Jonathan Drew and the entire Drew Estate team, as well as receive 3 rare Drew Estate cigars. At the Barn Smoker event, VIP attendees will also be given a premium swag package, including a Barn Smoker torch lighter and cutter, a Barn Smoker rocks glass set and more. Tickets for the Florida and Pennsylvania Barn Smoker events are on sale now. 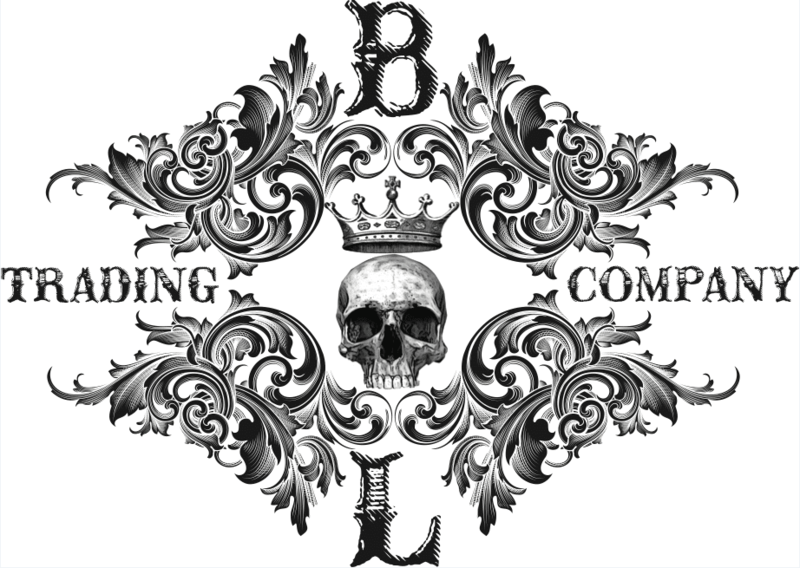 February 20, 2018 — Black Label Trading Company is pleased to announce they are shipping vintage 2019 to select retailers this month. 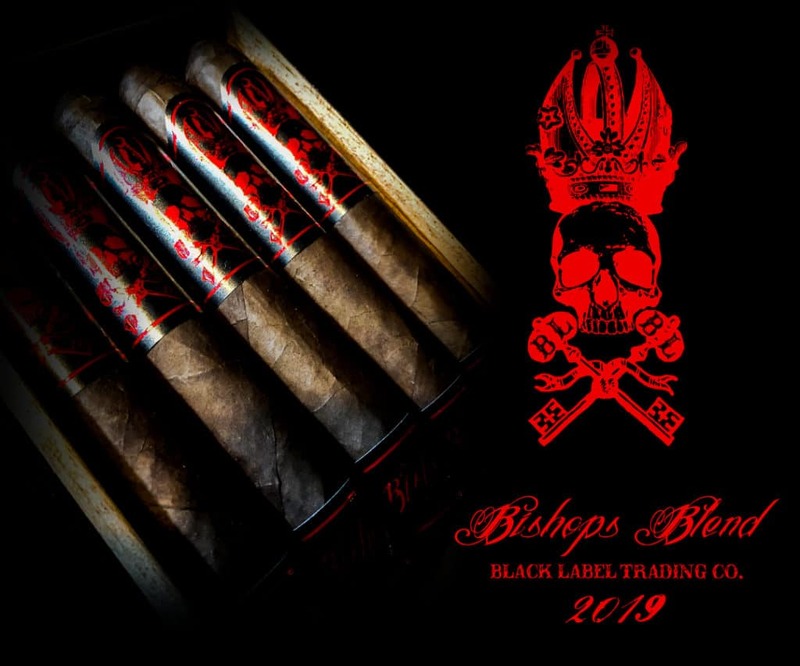 Bishops Blend is hand crafted in Esteli, Nicaragua at Fabrica Oveja Negra. On November 20, 2012, Crowned Heads released what would become the first in a long line of Limited Edition releases, i.e., Four Kicks Mule Kick LE 2012. Mule Kick LE 2012 featured a higher priming Habano wrapper and a slightly altered blend to the OR Four Kicks brand. Only 5,000 cigars were produced; however, Mule Kick quickly garnered rave reviews and captured the attention of the premium cigar community. The OR Mule Kick blend would go on to be re-released in 2017. 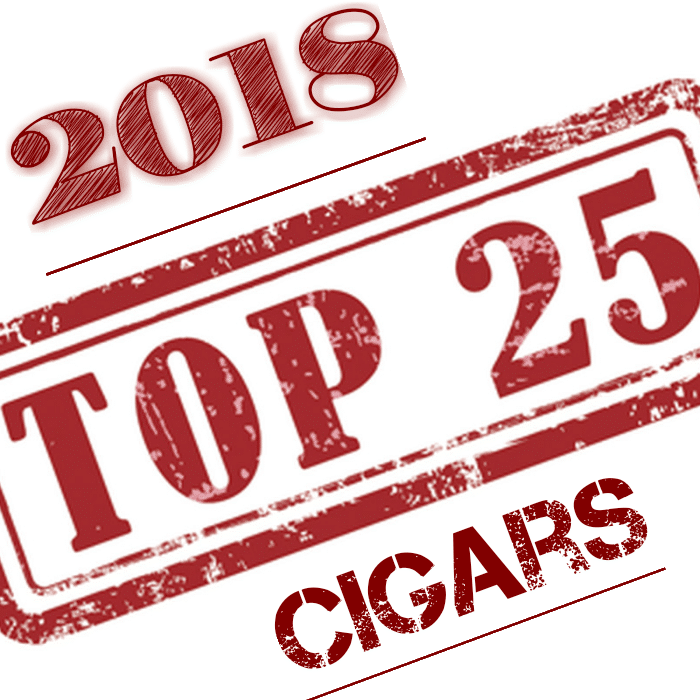 In 2018, Four Kicks Mule Kick LE 2018 was released, utilizing the OR Mule Kick blend finished with a Connecticut (Habano) maduro wrapper. Total production of Four Kicks Mule Kick LE 2019 will be limited to 2500 (10-count) boxes, and will have an MSRP of $10.95 per cigar. Manufactured at Tabacalera La Alianza, S.A. (Dominican Republic), under the supervision of Cigar Aficionado Hall of Fame member, Ernesto Perez-Carrillo, Mule Kick LE 2019 will begin shipping in March. Thursday, January 10, 2019 — Miami, FL- Drew Estate announces today it is shipping the Herrera Esteli Norteño Edicion Limitada to Drew Diplomat retailers nationwide. So when you hear the word Bugatti, you can almost guarantee the first thing most people think about, is a car that 99% will never be able to afford but we all love to look at and dream about. You thinkink speed, luxury, prestige, and just simply put, a high class style of life. Well, after smoking the Ambassador by Bugatti, you honestly can say they are bringing all those traits from the car to the cigar. 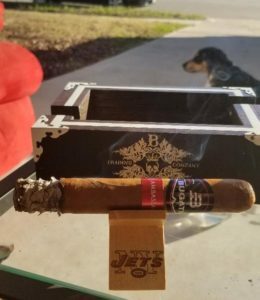 From the first look at the Ambassador, you can just see the quality of construction, a bad-a$$ band, and a great feel to the cigar that will help transform your day into that high class style of life right as you light up this beauty. Well its Playoff time in the NFL and my buddy, who is a Colts fan, came over for the game. After smoking the Bugatti Signature on New Years Eve, I decided to smoke the Ambassador as I typed up the review I was going to do for the Signature. Drinks were poured, game was on, and it was a perfect 68 degrees out here in Texas. To say things were perfect, would only be true if my Jets actually were playing but one can only dream, so I will say this is as close to perfect as it could be given the state of my NFL team. After cutting the cigar and lighting up, those first couple of puffs were heavenly! Super smooth draw, great fluffy smoke, and a wonderful creaminess hit my palate right off the bat. I was very happy I decided on this stick for the day. So as I was watching the game, enjoying the Ambassador, loving the creaminess of the cigar, I forgot I was supposed to be typing up a review for the Signature. It was at that point I decided the Ambassador was the cigar I needed to review. I like bold cigars which is the way I would classify the Signature. The Ambassador is definitely medium in boldness and I was falling in love with this cigar. That truly says a lot in my opinion as most medium bodied cigars are just solid smokes, not this tasty, but the Ambassador is special. Along with the creamy notes came notes of light coffee that really complimented each other. Side note – if you want a bolder cigar, do make sure to try the Bugatti Signature as it was a wonderful cigar with lots of flavor and a nice bold profile. But back to the stunning Ambassador! So truth be told, the second third of the cigar really did not vary much in boldness or flavor which to me, I was perfectly fine with because I was enjoying the creaminess as described in the first third. The cigar was burning great and the ash was solid and was holding strong. So this is where you hit the highway, put the pedal to the floor, and wave to every cop that you pass on by when you are in your Bugatti. (We here at Inthehumidor.com do not condone speeding or waving at cops as you pass by them, just saying). So the creaminess of the cigar fades just a bit and now some spice notes start to come through. Almost like a nutmeg or sweetness spice. Again, it fits the cigar perfectly and the smoke and construction is still damn near perfect. I smoked this beauty to the nub and would have kept going but it was starting to get just a little to hot. So this cigar is by no means the most complex cigar you are going to smoke, but it is SUPER tasty and constructed perfectly! I had no burn issues, only one relight, and about an hour and 40 minutes of enjoyment out of this beauty. The cigar did smoke a tad slower than most toros that I have had and I am grateful for that. As mentioned earlier, it really does take a lot to impress me out of a mild to medium to cigar and this medium stick really hit the spot for me. 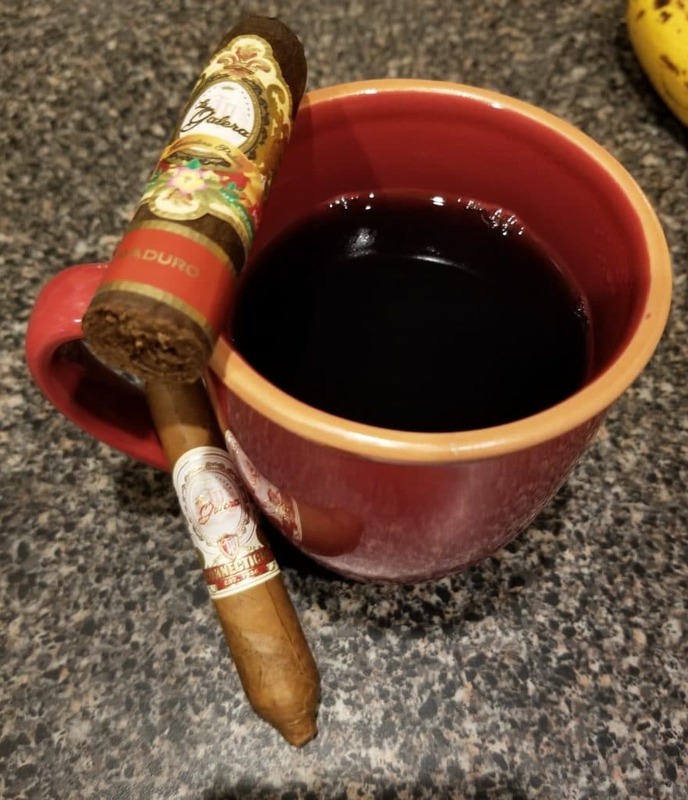 I highly recommend this if you are a fan of a medium bodied cigar and would say this would go excellent with a nice cup of coffee in the morning, or a nice post dinner smoke with some baileys to add to that coffee. We all love visiting our local cigar shop, whether you are new to cigar culture or a seasoned vet. Below are 10 Do’s and Don’ts to follow as you enjoy your time at the lounge. This should just be a given. A cigar lounge is a place to retreat from your everyday life; the cold, the heat, and so many other things from the outside world. We go there for the comfy chairs and comradery, the air conditioning when it’s hot and humid out, or the heat when temperatures drop a little too low for our liking. But how do you think the shop owner pays for all those things? That’s right, the sales from the shop!!! 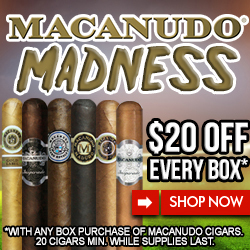 I get it, we all have a budget and sometimes, online sales are better than your local brick and mortar cigar lounge, but all you get from the online store is that cigar, not everything else that comes with the amazing experience of a cigar lounge. So, if you MUST smoke that special cigar you brought from home, do so, but only after you buy a cigar from the shop. Who doesn’t love kicking back literally with a drink and a cigar? I know I do. But seriously, the lounge should be a place to kick back but while keeping both feet firmly planted on the ground. Would you like to go into a shop that the furniture looks like it has been used an abused? Neither would I. And just think of how that furniture would have gotten do that point? Case closed. I’m not talking about emptying the ashtrays or wiping down the tables as the cigar lounge is most likely paying someone to do that. However, I am talking the basics, like throwing away your empty bottles, cans, and food that you had delivered or brought with you. The shop employee is not your mother so do not treat them like such unless you want them to discipline you just like your mother did. Many of us may go to the lounge alone and of course talking to the guys is always a blast but inserting yourself into an existing conversation with other patrons uninvited is very simply put, rude. Also, that guy sitting there by himself reading or watching a TV show on his phone, might just need an escape from people and doesn’t want to talk, so let him or her be. I’ve first hand can say this has happened to me many times when I head to a new cigar lounge that I have never been to. I will listen and still mind my business but if I happen to laugh at a joke or agree with a comment, many times my opinion will be asked of me or I will be invited into the conversation in other ways. From there, you now are good to go and now have more brothers/sisters of the leaf in your circle. No matter what your stance is on politics or your religious belief, there WILL be someone who feels the opposite of you. You know what we call that? Human nature. We are all different, all raised differently, and all believe in different things. So, discussion on many things that we are on opposite sides can lead to growth in knowledge, laughter, understanding, and just good ol’ conversation. However, in today’s world, politics and religion is beyond a touchy point and 99 out of 100 conversations in regard to those topics will lead to fights, disagreements, and become more about converting the other person’s thoughts and believes to your own. So again, simply put, just don’t. This can go for every type of conversation. Don’t preach your point and then not listen. I could preach for days and days about how much I feel Tom Brady isn’t the greatest QB ever, but I must give you the chance to prove why you think he is, even though I promise you won’t sway me there. However, I digress. We have all seen that guy who is showing off his Cuban cigar or his rare and special and limited-edition cigar that is harder to find than Bigfoot. Don’t be that guy. Be proud of what your smoking and if someone asks, “Hey, what are you smoking?”, feel free to show enthusiasm but do not put the cigar down that they are smoking or try to show your cigar is better than the one they are smoking. Also, do preach to others like you know everything about cigars, even if you are an expert.No one likes a know-it-all. It’s the perfect spot to do so! Ask about the cigars being smoked around you because who knows, one of them may be smoking a cigar you were interested in trying and you can get some feedback first hand. Also, this is a great opportunity to bring yourself into a conversation or invite others into the conversation as mentioned above. And finally, if you hear a guy talking about cigars that seems like he knows his stuff and you want to know more, ask him! 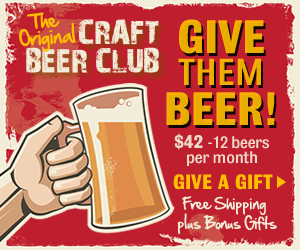 This is a great way to learn about cigars and again, brings another brother or sister of the leaf into your circle. 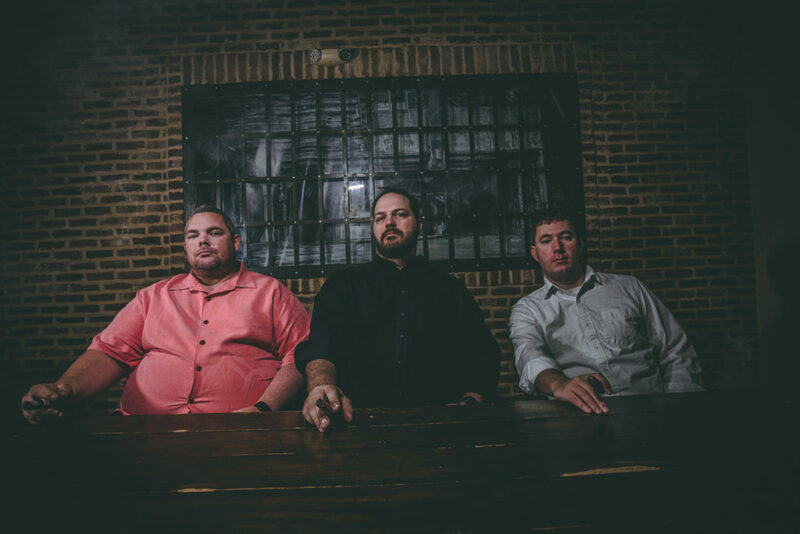 #6 – The Do Not – Do not smash your cigar out! This one is simple but really is beneficial. If you smash out a cigar, it will release a very unpleasant odor and sticks around a lot longer than the lovely cigar aroma that we enjoy. Done with the cigar? Hope it was great!! Now, just leave it sitting on the ashtray if you are leaving. If you are sticking around longer, just flick it into the ashtray and you are good to go. It will go out on its own and be disposed of the next time your cigar lounge employee makes his or her rounds. Many cigar lounges are BYOB which is just fantastic. However, nearly every cigar lounge has that one guy that always forgets to bring his booze along. 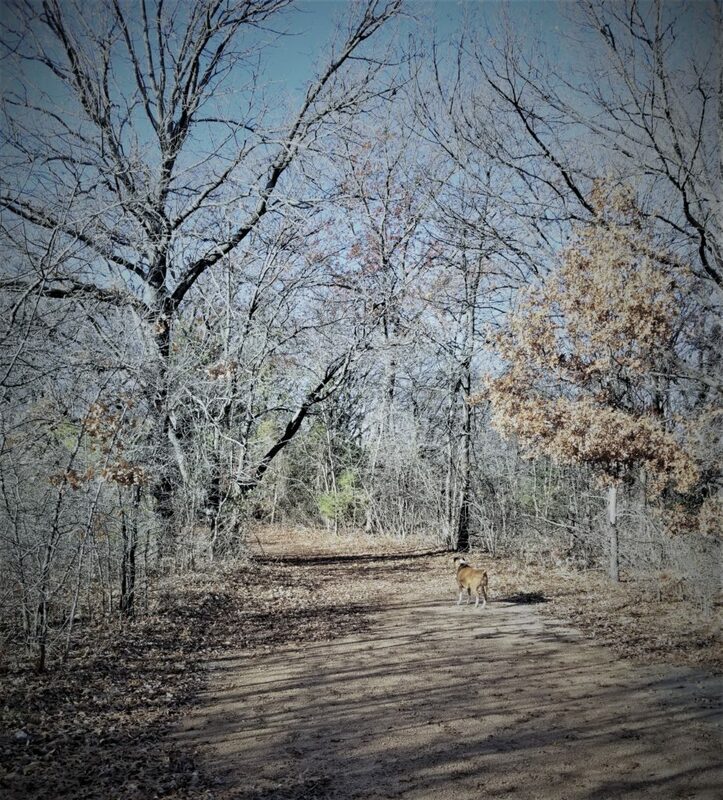 But he will for sure sniff out yours and ask for some and rarely every repay the favor. Don’t be that guy. Many times, while I have been in the cigar lounge, I have been offered a drink since I was in the immediate area. It’s a great gesture and sometimes I will accept,other times not, but the offer is always appreciated. Again, it gives you a chance to connect with others while you are enjoying your cigar and time at the lounge. And trust me, that super old bottle of Blantons that you brought in, I will not expect any of that. Really, just think about that for a second. It does not need any further explanation and seems self-explanatory but I promise you will see it many times. Forgot your lighter? No problem, the lounge will help you out. However, sometimes its busy in the lounge and soon enough, that lighter runs out of fluid. So instead of watching someone wait for the cigar lounge employee to refill it as he or she is trying to take care of customers, offer yours up. Not only will that person appreciate the gesture, I can promise the cigar lounge employee will remember that as well. Now, of course, keep that cutter close if you think the person might be an offender of the #8 Do Not category! Yes, you went to the cigar shop alone and maybe you want to be alone and just do your thing. There is nothing wrong with that. However, you still are not the only one there. Be mindful of others around you. Biggest part of that, do not talk on your phone if possible, especially if it’s quiet in the lounge. Shoot a text instead or step outside momentarily, we will hold your chair for you. We love cigars, we love the smell, and guess what, that smell comes from the smoke. However, we blow the smoke away from us in most cases. So if you are sitting next to someone, do not blow the smoke towards them and if possible, hold the cigar in a spot that the smoke coming from the cigar does not go directly into the face of the person next to you. Also, be mindful of your stuff that is on the table and make sure those around you have room to place their drinks or items. I am the first to admit that one of the first places I want to go when I have had a bad day is the cigar shop. But once I step through those doors, I let all that negativity go and I sit down knowing things are already better just by being there. Don’t bring your bad day and push it onto others. Negativity travels, leave it at the door. Take a moment to just breath, relax, unwind, and light up. 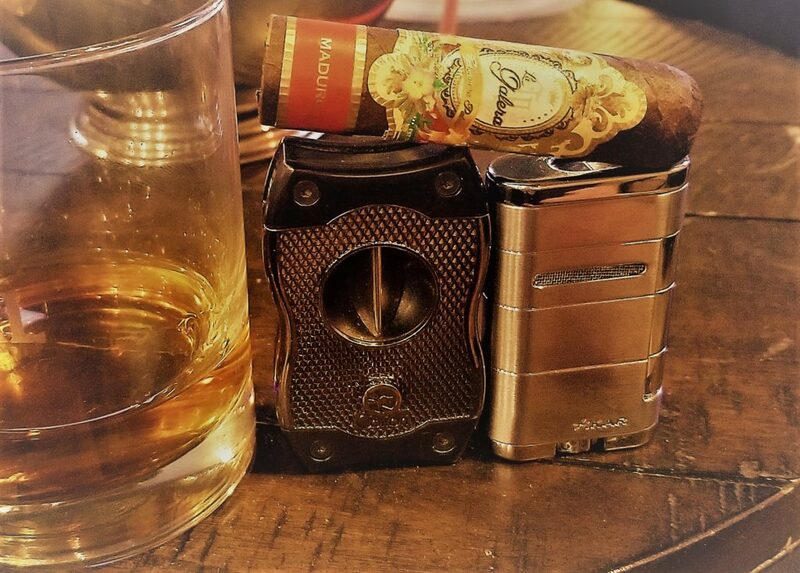 The time in the cigar lounge is time away from the hustle and bustle of everyday life, so enjoy it! I frequently vacation in the depths of my own mind to the point sometimes that I completely forget what day it is, and most often I will need some sort of physical remembrance to help me adapt back to the present reality. Is this weird? Is it normal? Am“I” normal? Typical questions asked a lot on my vacations, but that is by no means what I am here to ramble on about. What is relevant is while on my most recent adventure, my snap back to reality was triggered by a crisp chill only the wind at a certain time of the year can create. Once again, another year has flown by, in a manor the FCC is all too familiar with, a “Blur”. Here we are smack in the middle of December already, which has tremendous amounts of significance. I became a year older not long ago, another blessed Thanksgiving with my family has come and gone, Christmas is right around the corner and the weather is finally starting to change! Now being a native Texan, I typically get the luxury of not having to endure this seasonal change in weather quite as harshly as my less fortunate brothers and sisters that live in Northern regions of the Country. However we have had enough of a change to bring out a few of those subtle early morning chilled aches and pains, predominately associated with old sports injuries and youthful ignorance. The beauty of fall is now littered across the ground outside or its already been swept away by brisk northern Fronts or buried in flakes of Frosty’s epidermis. Winter is officially upon us and its significance reaches much farther than ski trips, hot chocolate,tinsel, garland and bright twinkly lights. Winter brings on many changes, most we have become used to and can adapt to effortlessly, however a curve ball or two are never out of question. Speaking of curve balls, one of the biggest contributors to my abhorrence for this time of year is the lack of baseball representation in sports. Sure, I can hold onto a few juicy rumors when the Winter Meeting’s roll around but for the most part, unless you live in South America, baseball may as well be nonexistent in the Winter months. Colder months mean indoor sports for the most part, with the exception of Football, and in all Honesty if there was not some sort of Fantasy Football scenario in play, I may not even really watch football. Basketball doesn’t move the needle much until the playoffs start, and soccer is just ridiculous no matter what time of year it is. If there is one saving grace to the start of Winter, there is Hockey! 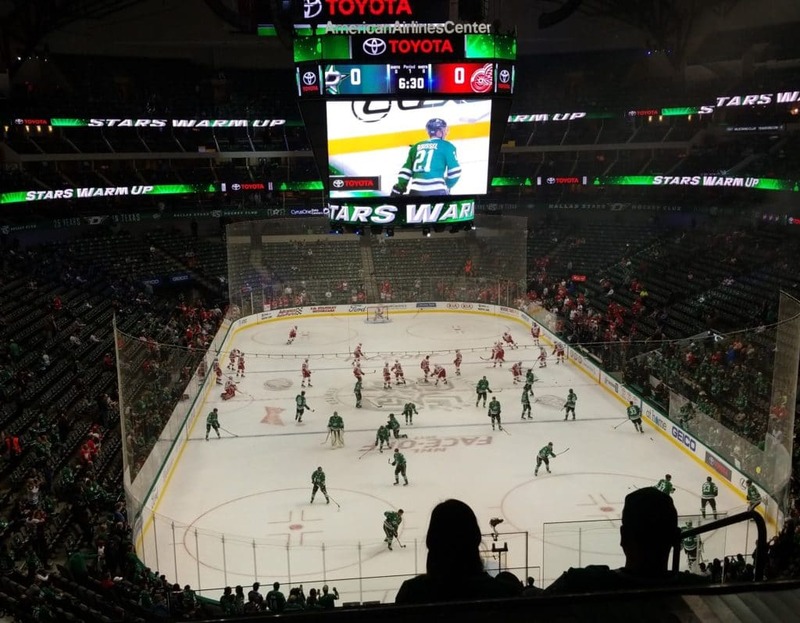 I know…I know, not many people reading this, or that I am associated with for that matter, understand a Texas boy liking a sport dominated by the Maple Syrup pouring, Tim Horton’s donut eating neighbors to our North. But without getting off topic, I will just add quickly that you can’t knock what you may not know about. If you find yourself searching for something to do this time of year and you have a Hockey team local, professional or not, GO TO A GAME!! You will not be disappointed. Back to the topic at hand the general idea being preached here is that Winter is upon us, and in confluence with the change in weather is the change in lifestyle. Out of the deepest depths of your closets come the jackets, coats, scarves, mittens, hoodies, beanies, and any other accessory synonymous with colder weather. Fire places have the dust knocked off them, the haunting smell of gas resonates from the first time the heater kicks on in months, patio furniture sits lonesome and frostbitten. Many of the activities mentioned herein, or just social outdoor activities in general, are commonly enjoyed with a good cigar in hand. As a Cigar smoker, Mother nature’s attempt to strip me of these social luxuries has begun and I vow to not let it happen. The last thing I want to do, or any sane person in my opinion, wants to do is stand outside, wrapped up like an overstuffed burrito,in freezing temperatures and attempt to enjoy a cigar. I have tried this before and so much is lost in the experience its criminal. Too many times a good stick is left to flame out having only been smoked a quarter of the way through. You think “oh it’s not that cold outside” and before you know it you’ve plowed through a premium cigar in record time, only to realize you didn’t even enjoy it, let alone taste it. You can dry your tears, there are several ways we, as cigar smokers, can combat Mother Nature and “have our cake and eat it to”! First and foremost, the easiest solution to this Wintery problem is simply to search for the nearest Brick and Mortar to your location. Without going into great depths, this is simply the best way to sit comfortably and enjoy the protective walls that allow you to immerse yourself in the warm fuzzy feeling of a good cigar and leave Winters’ fury at the door! The next way to combat the seasonal changes has honestly become my favorite thing to do over the last couple years. Playing around with different Vitolas is an awesome way to continue enjoying your favorite cigars and not have to sacrifice anything.Now to be fair not all cigars come in a huge range of different sizes other than the traditional Robusto, Toro, Churchill, etc. However, if you find a particular maker and/or blend you are fond of it would behoove you to check and see if it’s offered in smaller vitolas. Many times, these miniature versions are quite enjoyable and, in my opinion, can be even more enjoyable. Essentially just imagine taking your traditional 2+ hour smoke and cutting the time in half, if not even shorter. Having the same flavor profile, but sometimes can be packed with an even bigger punch,given the compact nature. While there are thousands of examples that I can give, as well as many I still have no clue about, I will refer you to one of myfavorite cigars that just so happens to offer me the luxury of tiny tasty treats. La Galera cigars come from one of the oldest tobacco factories in theDominican Republic, Tabacalera Palma. Helping lead the way is Jose Arnaldo Blanco aka “Jochy” and you can find a bit of brief history here. 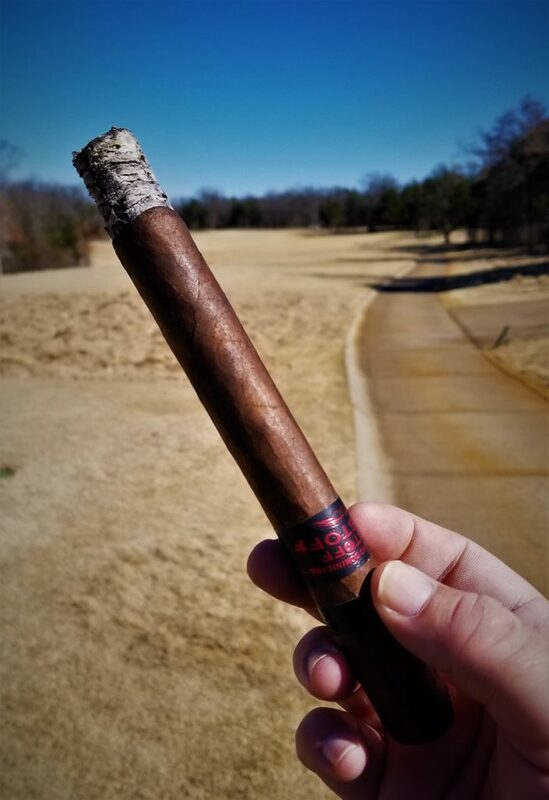 La Galera cigars provide a solid list of advantages year-round, but especially during the winter months when I am trying to save myself from hypothermia, or I simply just have a mountain of errands to run for the holidays. Of the many blends La Galera offers my two favorites happen to be the basic Connecticut and the Maduro. The Connecticut is wrapped in a Connecticut Ecuador wrapper, has a Piloto Cubano binder, and is stuffed with three different Dominican long fillers. With a very mild but flavorful profile this is an extremely solid early morning cigar with a rich cup of coffee. 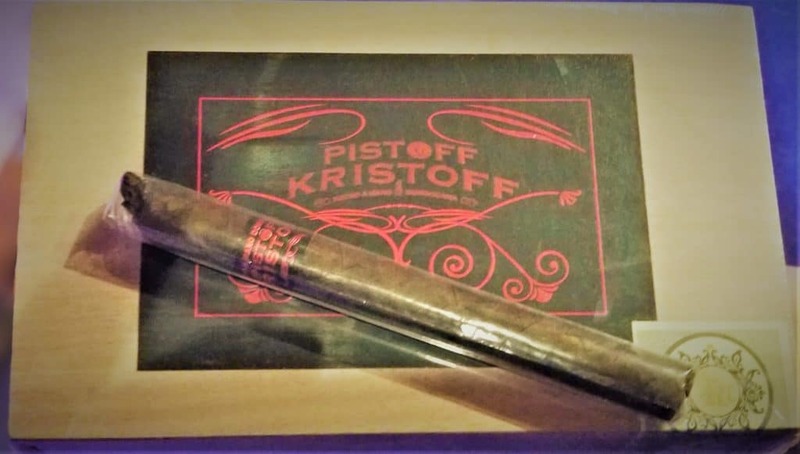 Tasty notes of toasted nuts, hints of cocoa and traditional earthy and hay-like notes, commonly associated with Connecticut cigars, let this cigar sit comfortably on your palate. Earlier this year at IPCPR La Galera announced 4 new Vitola’s in association with the “Cubes Project”. Of these new sizes came the La Galera Connecticut Perfecto or “Shorts” vitola. With a petit 4 x 46 size it very similarly resembles the Hemingway Short Story for any of the Fuente fans out there. With an MSRP of about $5 this is not only a cost-effective cigar, but also fits all the parameters of a perfect cold weather cigar. Smoke time for me lasted about 30 minutes and was every bit as good as its larger sizes. As for the Maduro, this is probably one of my favorite go-to sticks year-round. With a beautiful chocolatey San Andres wrapper, Dominican binder and fillers, this cigar is a great social cigar for someone who enjoys things a bit bolder. The La Galera Maduro brings out notes of rich chocolate, a little bit of spice and cedar are present. But most notable is the smooth creaminess of this cigar, which can pair really well with espresso or your favorite single malt scotch. I typically smoke either the Toro El Lector (6 x 54) or Torpedo Cortador (6.1 x 52) which each sit around $6-7 MSRP, which in my mind makes me feel like I am robbing the humidor. 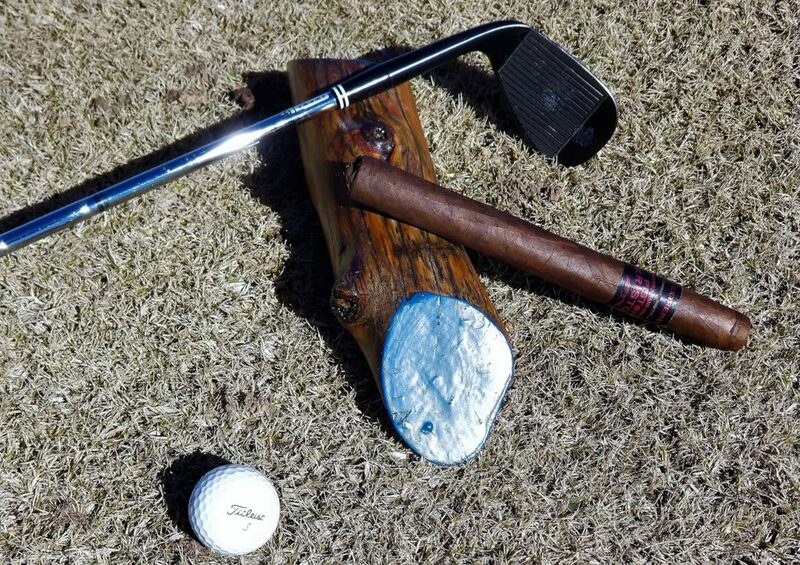 There is also, what I like to call the “fire hydrant of cigars”, the aesthetically pleasing Vitola No. 1 (Corona Gordo) with a size of (3.5 x 50) and MSRP of around $4. 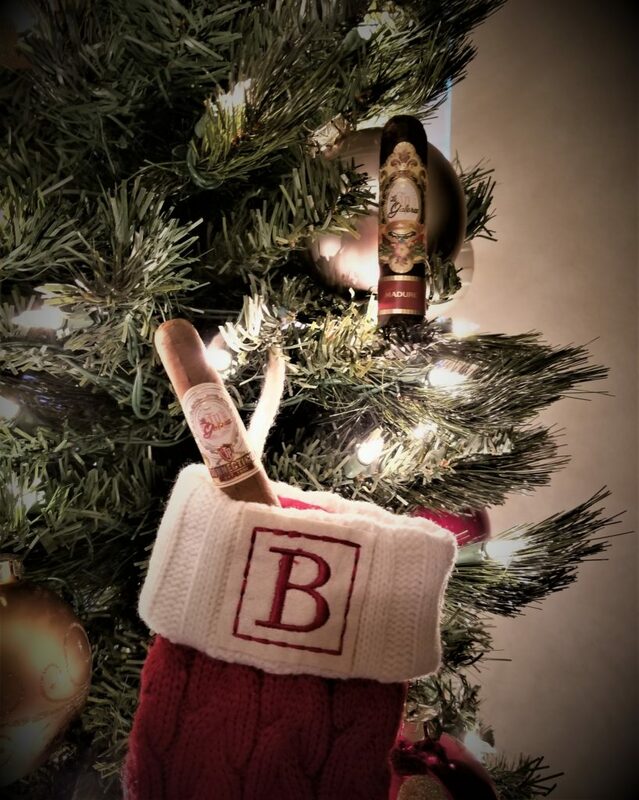 Winter has met its match with this cigar with again a smoking time of about 30 minutes, and this one will leave you feeling warm on the inside. Each of these cigars are absolutely box worthy, so depending on your palate go out and grab a box for Christmas. Boxes come in 20 counts and retail just barely over $100, which makes them even more enticing this time of year, when the wallet is slightly skinnier. I have never been disappointed with La Galera products and I know you will not be either. Don’t let winter ruin your mood or your plans, especially when there are cigars involved. Happy Holidays from Inthehumidor.com and have a safe and merry holiday season.